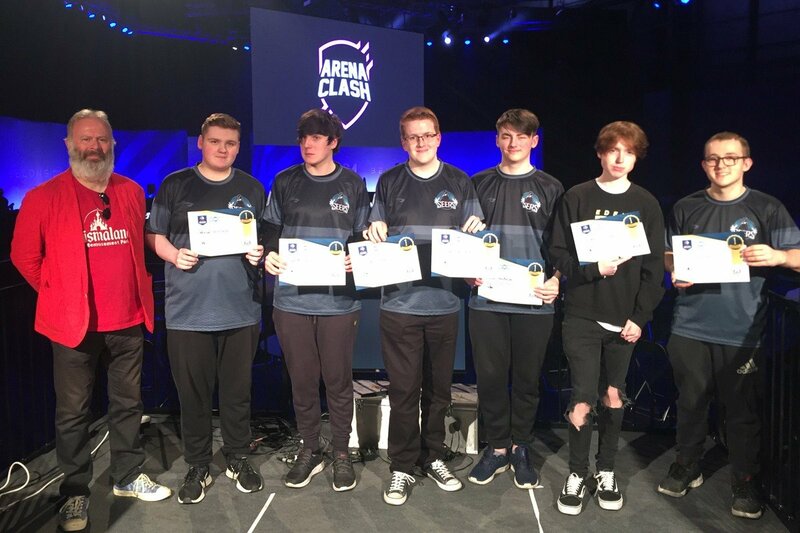 Ep-Esports from Easthampstead Park School have been making waves in Season 2 of the Rocket League British Esports Championships for schools, having made it to the finals. We speak to Rocket League player Ninjamarkali about the team, how it got started and what it’s been like playing in the tournament. Please tell us how the team got started. We are all year 9 students from Easthampstead Park School. We had a school trip to WorldSkills UK which happened in Birmingham at the NEC and that is where I learned about esports for schools. I went to my ICT teacher about it (and badgered her until she agreed to enter us) and at first, it seemed like we couldn’t do it, but we’re here now! We came up with the team name Ep-Esports – simple and clean. Which games do you participate in and how have you done in Season 2 of the British Esports Championships so far? How far do you think you can go? We have only one Rocket League team participating, as this is our first ever season we’ve taken part in, so we didn’t have many teams to enter. We also only have three donated laptops which have been configured to run Rocket League and Discord, as none of the classroom PCs can run it. We play in the ICT office next to a toaster on our mismatched chairs! We have done really well in the tournament, we haven’t lost to any school and we are also in the finals right now! I think we can definitely win the tournament but our game against AGSB will no doubt be our most challenging game we will have this season. Who are the players in your team? Please tell us about your practising methods. We have one practice session every week before the match, which is on Tuesday after school. We also have some time to train our mechanics and have team talks on lunchtimes on Tuesday and Wednesday. We tend to play casual 3v3 matches to work on our rotations and teamwork. 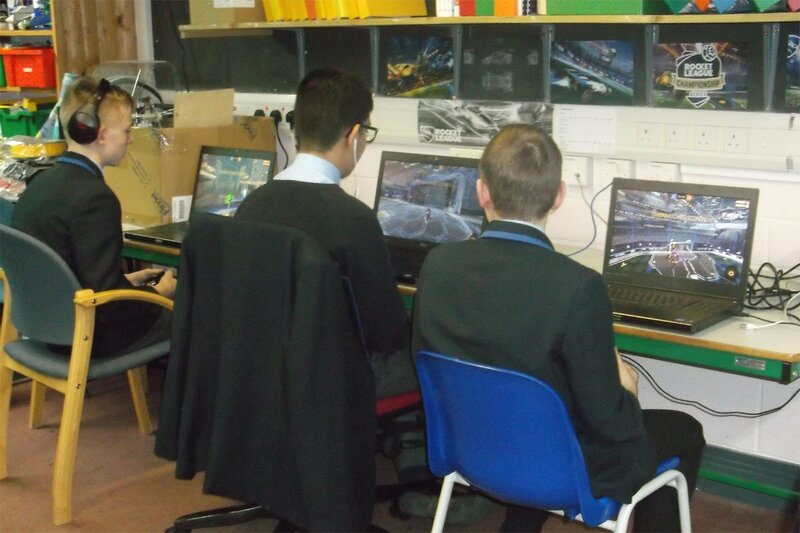 At lunchtimes, we spend our time doing custom training and free play to ensure we are warmed up and ready to win! What’s the most memorable or funniest moment in the team so far? Our most memorable moment must be our last game against Fisher Falcons 2. They really had us panicking after the first two games because they played different to any team we have faced so far. However we stayed calm, focused and positive throughout the series and made an insane comeback and won the match! It was a match we will always remember. We don’t necessarily have roles in the team, since 3v3 in Rocket League is basically about rotating efficiently and each game is different. However, we all have certain aspects that some of us are more special at than the rest. xultrasmasherx is basically our goal scorer since he can hit some of the most insane double touches and redirects I’ve ever seen. AmtHype is basically there to support us whenever we need it, whether it be to demo, to defend or to make a clutch save – he has incredible game sense. I play to control the game – make sure the pressure is applied and ball stays at opponent side, support teammates with passes and make sure to be ready for anything. 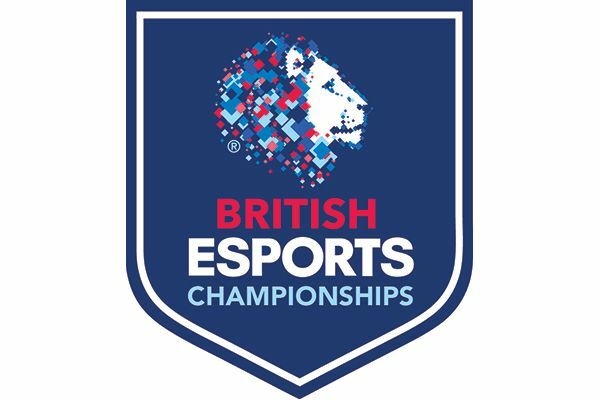 What do you think of the British Esports Championships? What have you learnt so far? I am so happy that I got a chance to be a part of this, I’ve always had a desire to play competitively and play in an esports atmosphere! I think this is a great opportunity for younger people to show off their abilities and talent to everyone, and show that playing games isn’t that bad for you. I have learned that persistence is a very key quality, since if I wasn’t persistent about competing here, I would’ve never had the chance to progress as far as we have! I would like to thank Ms Evans (my ICT teacher) for listening to me and helping me get this far and Mr Watt (our IT Specialist) who helped us with getting the PCs and firewall ready, downloading the game and keeping everything updated. I would like to thank all of the teachers and students who have supported us so far and cheered us on to go for it. And finally, I would like to thank my teammates who have worked with me, played with me and stuck with me throughout this journey which I will never forget as without them, we would’ve never made it to the finals!